Petit Republic Blog: Deal Me: More Adorable Walmart Fleece Throws! 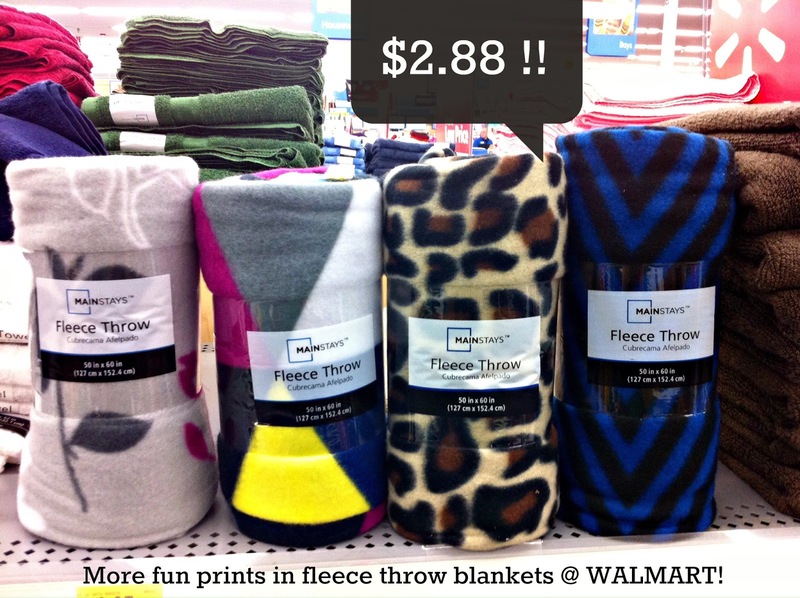 Deal Me: More Adorable Walmart Fleece Throws! In case you missed our last post on these fun and super affordable fleece throw blankets from Walmart - we found even more fun prints! These are literally a steal a $2.88 a pop! They would make for such great gifts for the holidays! We found (in photo, from left to right) an adorable modern gray floral print, multicolored triangles (triangles are so on trend right now), leopard (who doesn't love a good leopard print), and black and blue chevron/zig zag print. Though we can't guarantee that all Walmarts will carry these prints or styles, or if Walmart.com has these items, we definitely hope that you find these in your local Walmart store! Happy hunting!